Historic Shed™ is pleased to offer a traditional, customizable two-story, two-car Garage Apartment/ Carriage House. 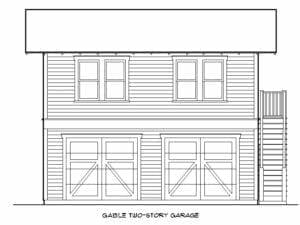 The garage features two 8′ wide overhead garage doors faced with carriage house door overlay. 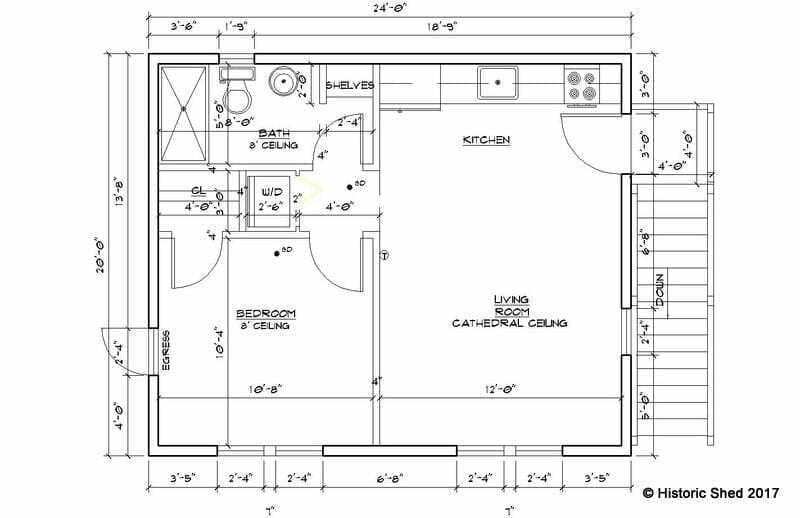 The second floor is accessed by an exterior stair and can be left bare or finished to serve as living space/ home office/ guest quarters or whatever you need an extra room for. Interior stairs can be added if preferred. The Garage Apartment is available in both gable and hipped roof versions with roof slope and eave details to match your home. Additional features and details are available such as eave brackets, outriggers and gable-end vents to complement your home. 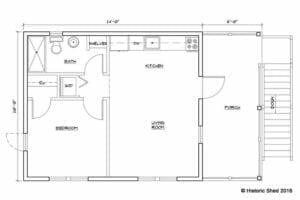 A 6’x12′ storage/ workshop can be added to the side of the garage as an upgrade or a full covered porch can be included. 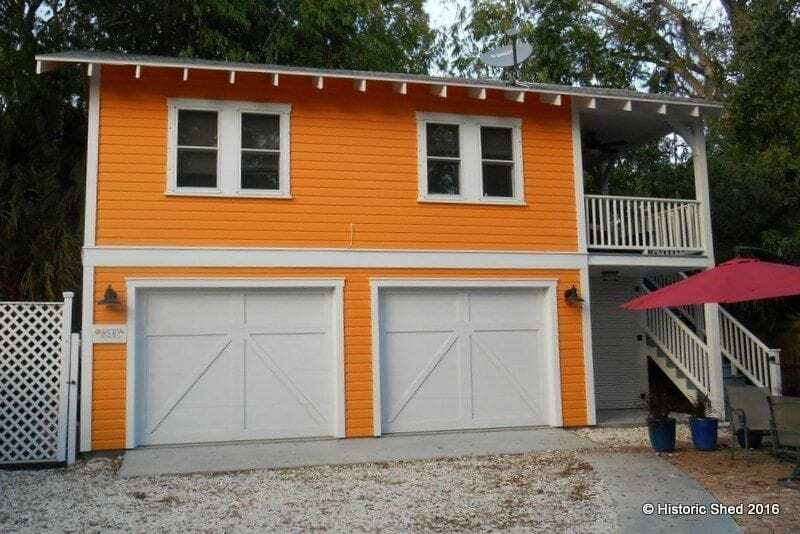 The Historic Shed™ Garage Apartment meets/ exceeds Florida Building Code requirements. 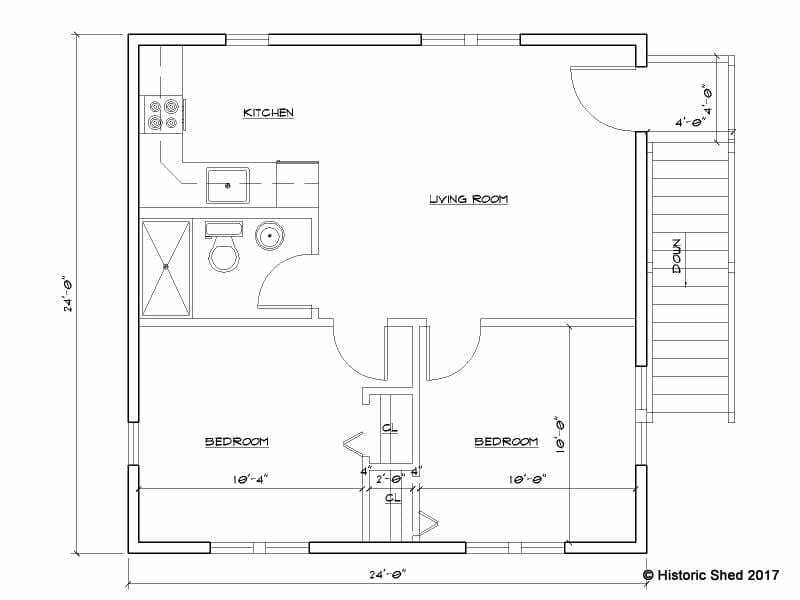 The second floor cottage layout of the tangerine Colored garage apartment allowed for a nicely laid out one bedroom, one bath design. 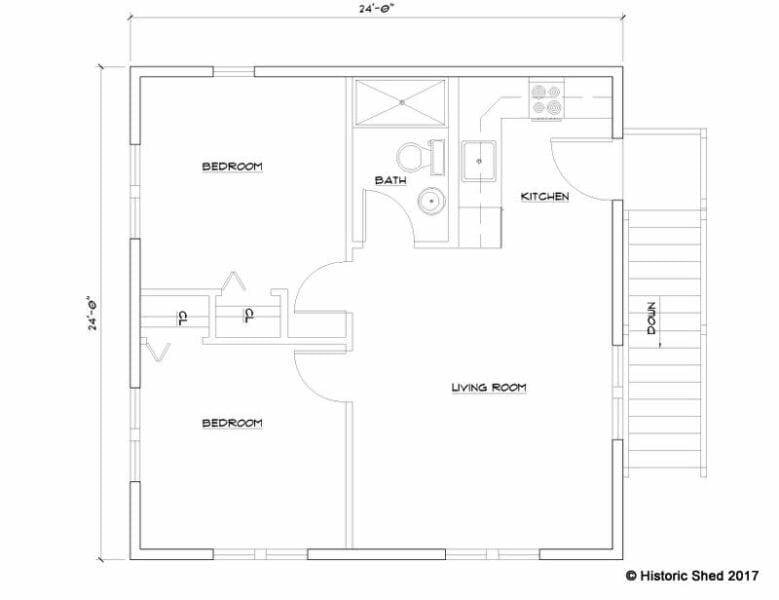 And has an 8′ porch.